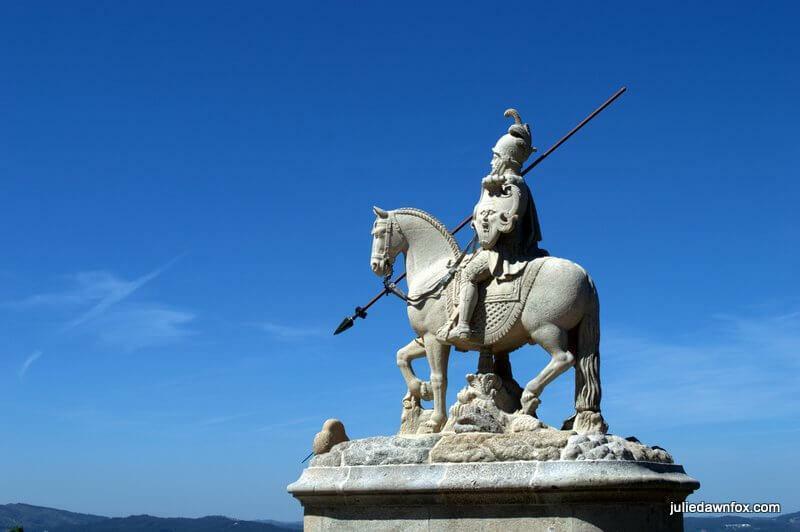 Whether you’re planning a day trip to Braga or are going to stay a couple of days in this beautiful city in the North of Portugal, it is mandatory to visit the sanctuary of Bom Jesus do Monte, or simply Bom Jesus do Monte. Note: The views are so good that you may even wish to stay overnight at this hilltop sanctuary. This pilgrimage site is one of the most majestic sacred hills in Europe, dominated by a huge stairway, with almost 600 hundreds steps, that combines three architectural styles: Baroque, Rococo and Neoclassical. The first reference to the sanctuary of Bom Jesus do Monte appears in a document from 1373 that mentioned the presence of pilgrims on this hill of the city of Bracara Augusta, a stronghold of the catholic church in the Iberian Peninsula. 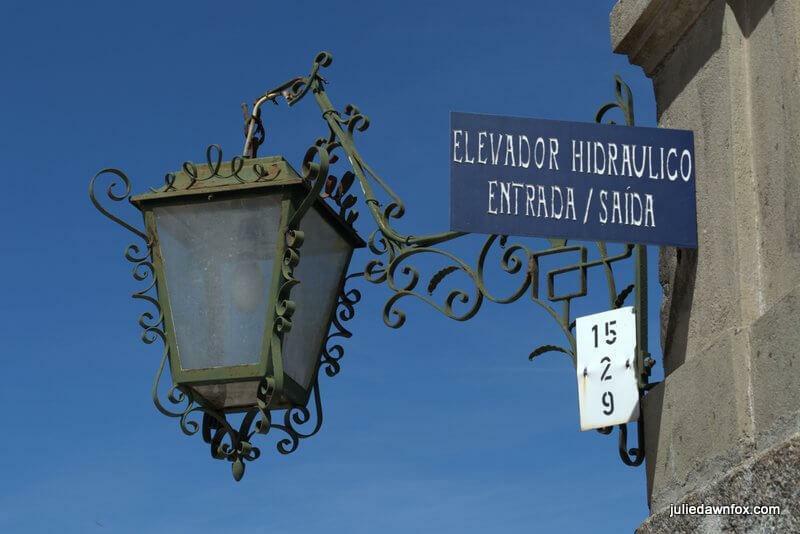 But it was only during the first half of the 18th century, under the rule of the Bishop D. Rodrigo de Moura, that work began on the famous stairway. In bygone times, pilgrims were encouraged to climb this monumental stairway on their knees, experiencing the martyrdom of Christ, and thus reaching a spiritual clarity of purification and redemption. The last stairway is dedicated to 3 Catholic virtues: Faith, Hope and Charity. Now the good news is that it is possible to skip the stairway by simply taking the elevator all the way uphill! 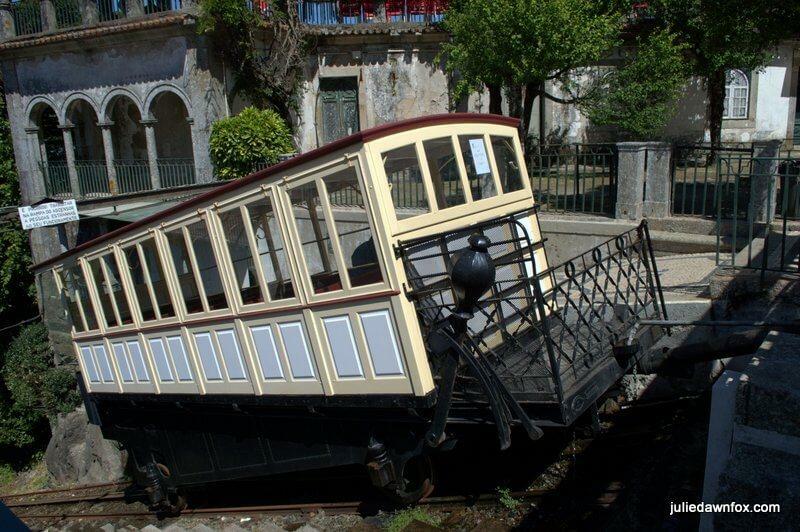 🙂 It might seem a bit strange, but the first funicular in the Iberian Peninsula at the sanctuary of Bom Jesus do Monte. It was inaugurated in 1882 and it is the oldest elevator in the world, powered by a water balance system, that is still in use. It’s fairly inexpensive as well – the round trip costs €2, whereas if you decide to take one way it costs €1.20. Whatever the way you decide to use to climb the stairway, at the top there is a reward; not only the stunning Basilica of Bom Jesus do Monte, but also a fabulous view of the city of Braga. At the top you can also find a panoramic restaurant, an esplanade as well as a cave with a small lake (yes, you read it correctly!). A visit to the sanctuary of Bom Jesus do Monte is the perfect plan for families with kids. 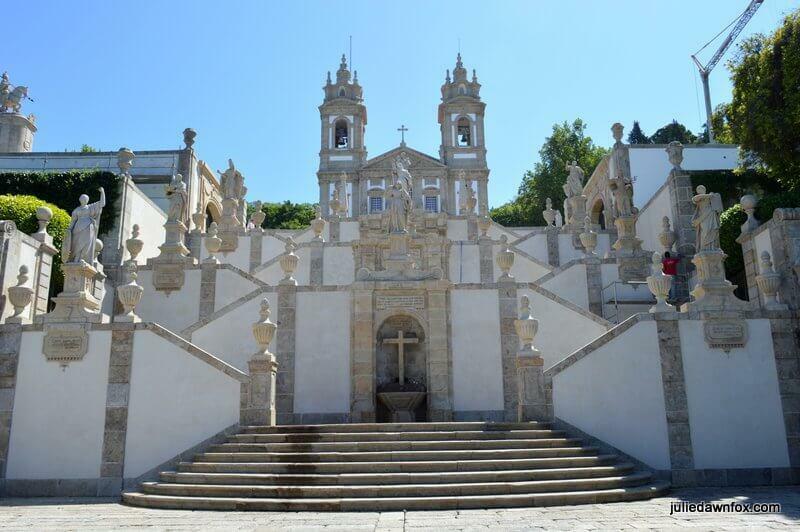 How to get there: You can take the line 2 bus from the centre of Braga (Avenida da Liberdade, in front of a supermarket called Pingo Doce), which leads directly to the Sanctuary of Bom Jesus. The ticket costs €1.65 each way and you can pay the bus driver directly. I agree with Sara’s suggestion to use the funicular to get to the top of Bom Jesus, or drive up. There’s no way I’d walk up all those steps although I did see people running up them! If you do feel like stretching your legs, the countless paths through the forested hillside are great for exploring and you’ll soon see why it’s such a popular picnic spot. The 4-star Hotel do Parque is next to the church and has a spa and access to the wellness centre and indoor pool of its sister hotel. Check availability and prices. 3-star Hotel do Lago offers a bit more peace and quiet as it’s located behind and above the church complex. As part of the same hotel group, you have access to the spa and pool at the nearby hotel and the option of dining at the panoramic restaurant. Take a look at photos and a more detailed description here. My daughter and I visited Braga this year (mid-Sept), and as we left the town our first stop was to visit this site. At the bottom I decided the stairs didn’t look that bad, it is not straight up, but graduated with the fountains in the middle of a terrace like landing, and we made it to the top with no difficulty at all (and I’m 76). Going down was slower, as I needed to hold on to a railing all the way down, but found the entire experience very thrilling. Well done, Barbara. I didn’t fancy the climb myself so I’m impressed that you took on the challenge. Hi Susan, Happy to hear you had such a lovely time. I loved wandering around the woods, too. I’ve yet to try the funicular though.